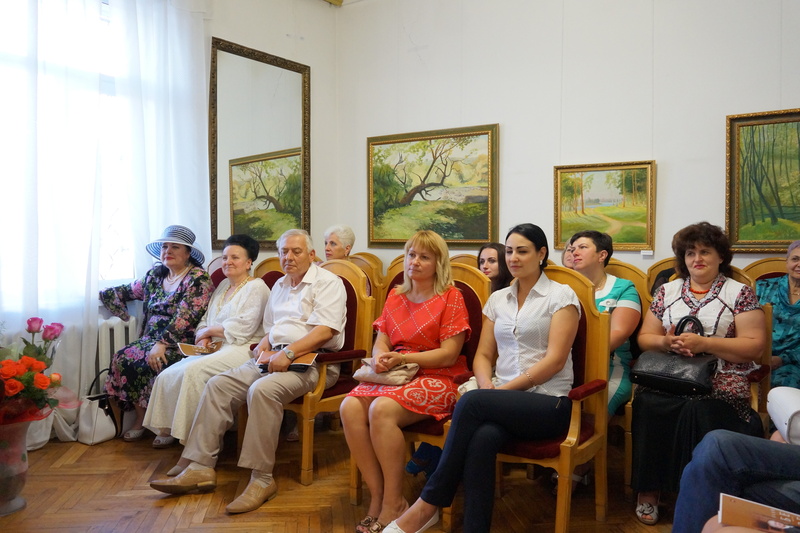 June 08 at 18:00 Vinnytsia Regional Fine Arts Museum hosted a gala-route, dedicated to the anniversary of Illya Bezbakh, the Merited Figure of Arts of Ukraine, museum’s founder and director, who for almost 30 years actively and devotedly organizes and develops the enterprise, which he created and brought up to the highest levels of acknowledgment by both – professionals, amateurs, intellectuals, creative elites in Ukraine and abroad. 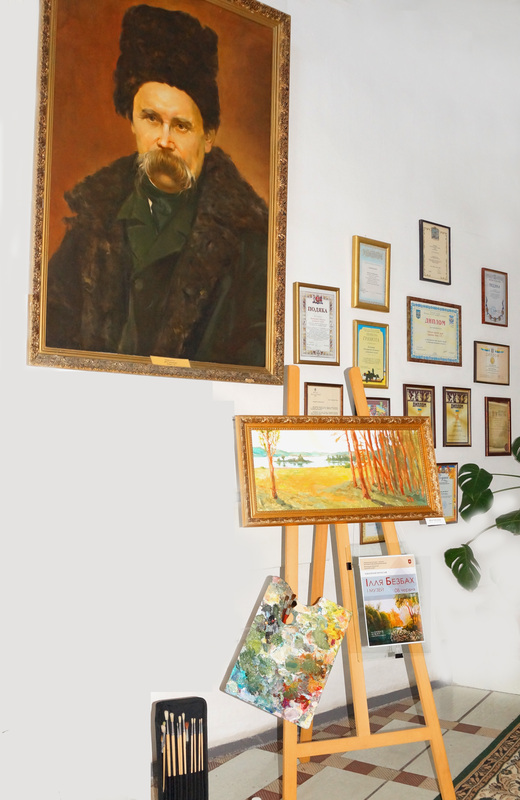 Ministry of Culture of Ukraine as far as in 2000 acknowledged Vinnytsia Regional Fine Arts Museum to be one of the outstanding art museums of the country due to its rich collection, innovative museum educational activities, which correspond to the high european level, prominent researches. 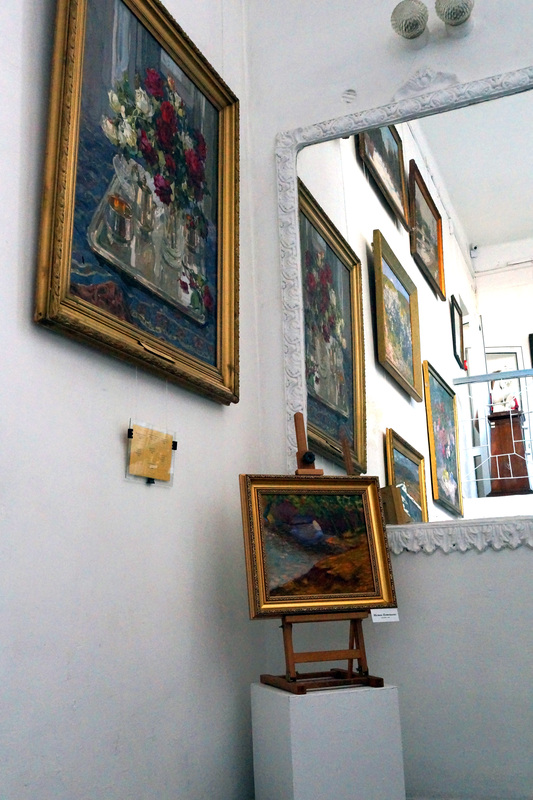 The top-event of the route was the vernissage “Since 1990-ies to 2000’s. 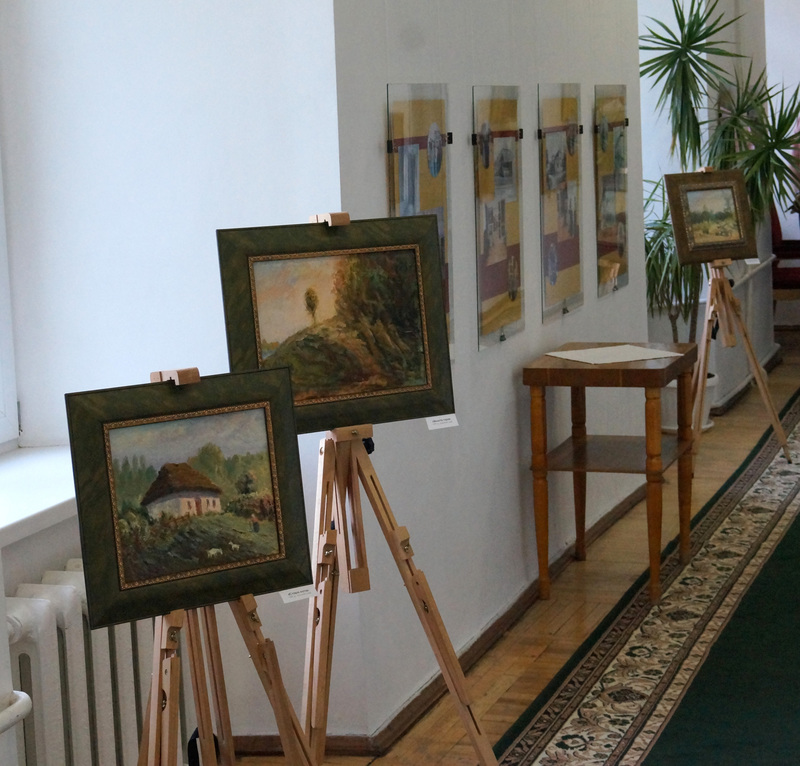 Paintings”, which presented over three dozen oil-paintings, created in different artistic periods; a slide-show “Illya Bezbakh and the Museum”, dedicated to the creative and administrative activities of the director; performance of famous musicians from Kyiv and Vinnytsia; a fragment of a TV-show “TV-Museum. 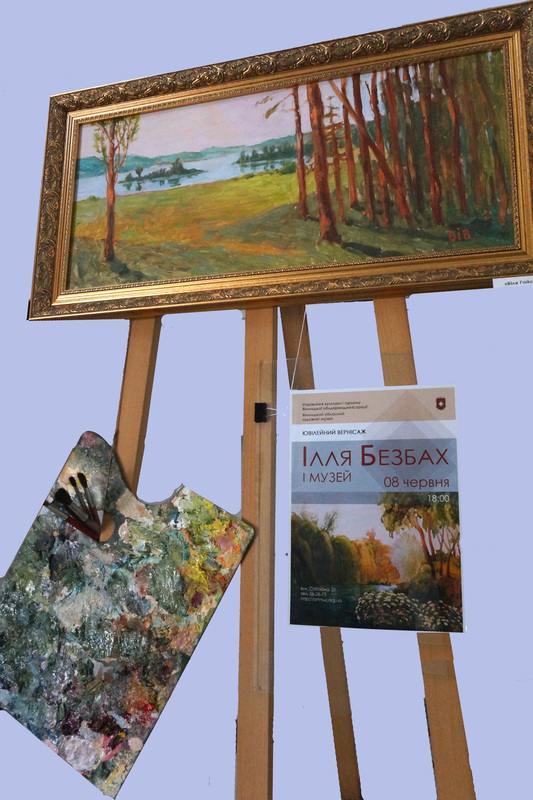 The history of one painting”, which has been aired successfully for a long time by the studio of literature-art programmes VDT-6. 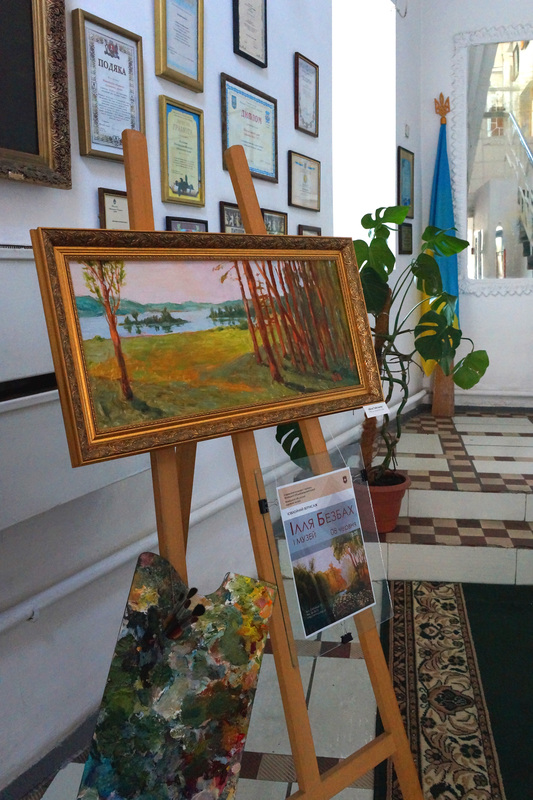 The modern design of the exhibition, which combined the traditionally hung artwork with those displayed on easels and even an unfinished painting, palette and paint, creating a solid space with the permanent museum exposition, which conceptually corresponds with the main theme of the event “Illya Bezbakh and the Museum”, that closely connects the activities of both the director and the artist, providing us with a phenomenal result. 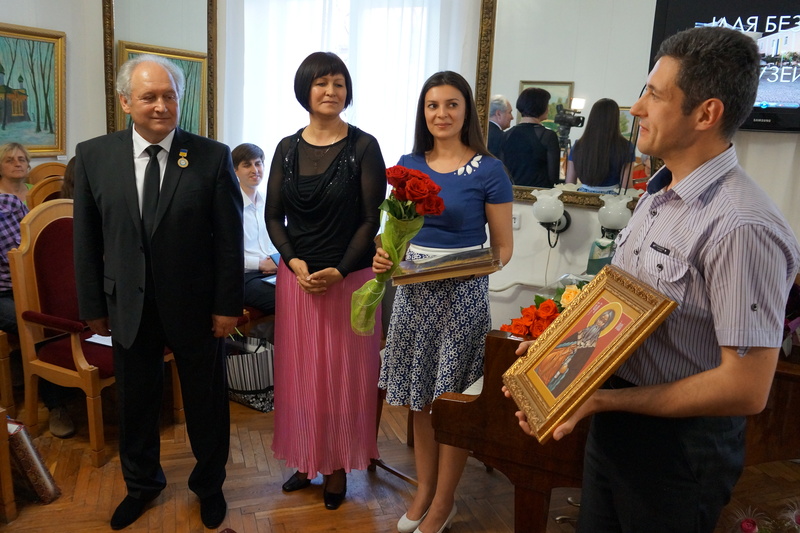 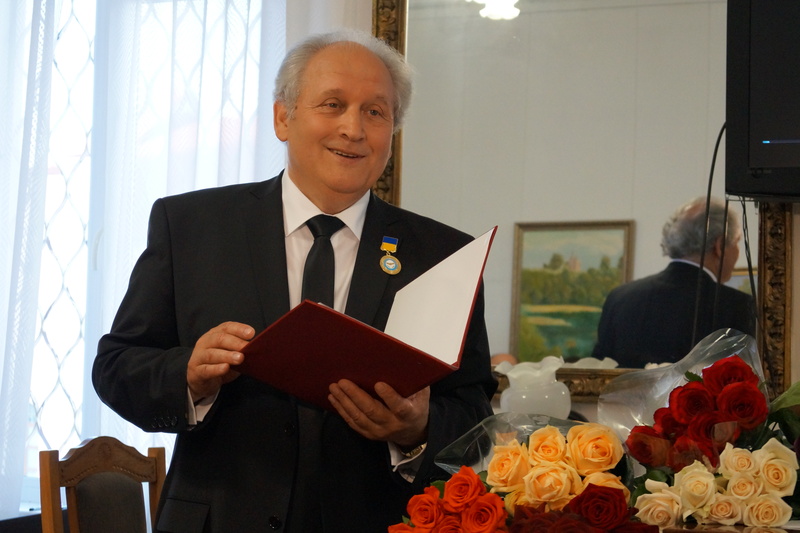 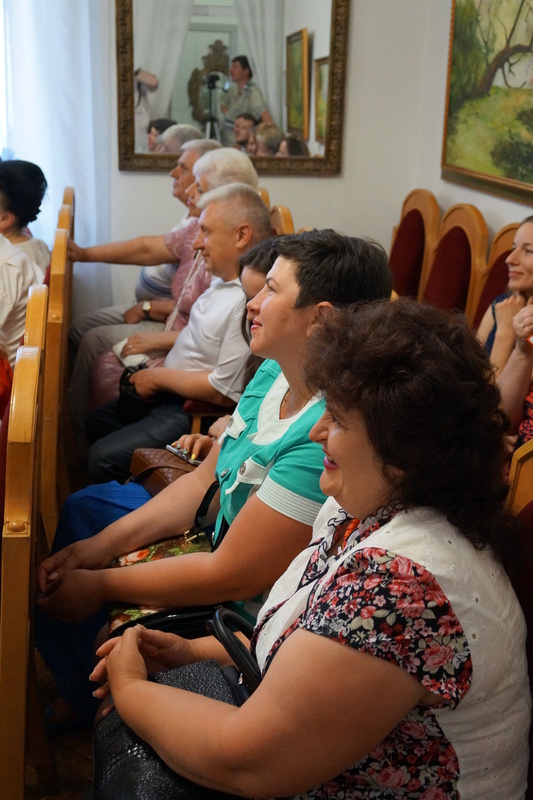 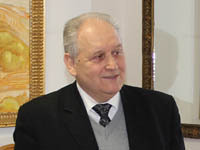 For his long-term productive work Illya Bezbakh was honored with the title “The Merited Figure of Arts of Ukraine”, many awards, among them by the Ministry of Culture, The Center of Museum Development, National Academy of Arts. 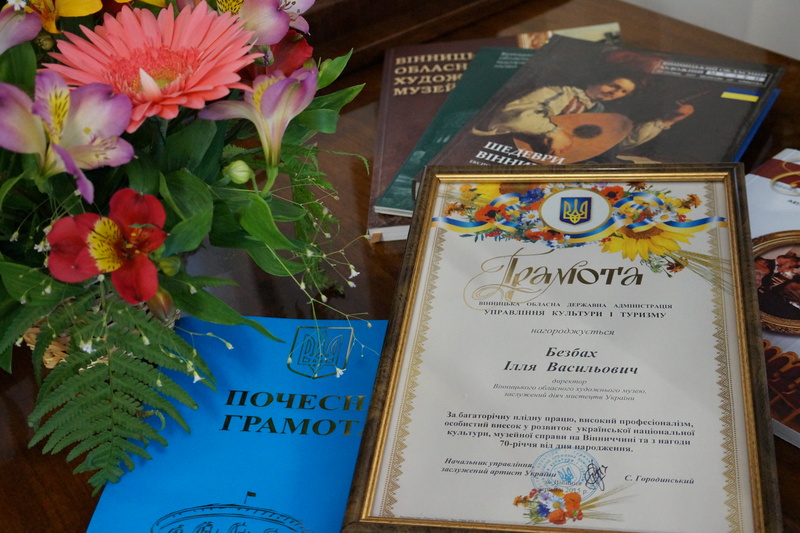 The medal «To the respectable» by the National Academy of Fine Arts and Architecture of Ukraine, which the director was honored with among 7 other people in the country, is a special tribute to his achievements as a leader, an artist and a human being. 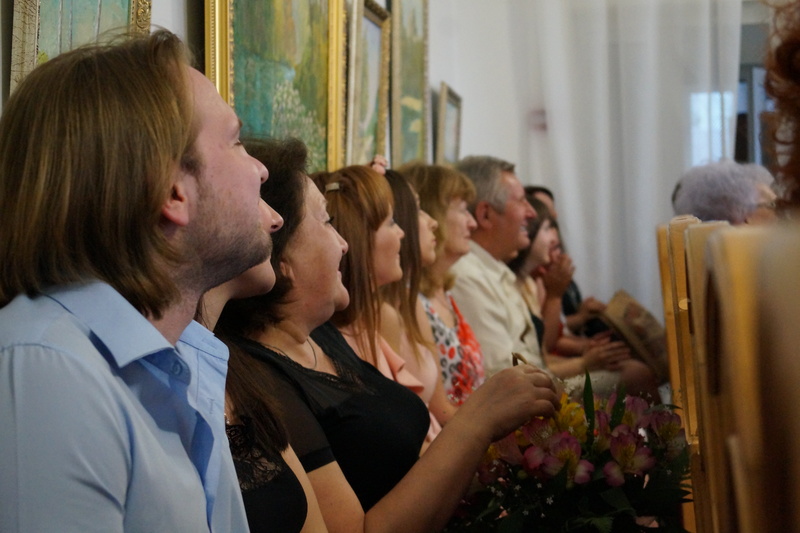 The events program also included congratulations from the leaders of the region, colleagues and the intellectual elite of the city.